An examination of music, food, sports, omg, wtf, and man's excessive nature. If you are looking to make a statement with your medical accessories, you may want to look into this line of “Help Remedies” by Adam Winski and Richard Fine. The three varieties available contain acetaminophen tablets for headaches, dramamine for sleep, and bandages for cuts, all of which are packaged in these stylish recyclable materials. I caught these on display at Moss in the Bazaar at the SLS Hotel in Beverly Hills. You could go there for the superb tapas and liquid nitrogen caipirinhas or just some headache medicine. French macarons are a recent addition to my life. Before it was strictly the coconut-based deli bakery-style macaroon. Ever since this watershed moment, the two delectable pastries have been vying for my heart’s love. 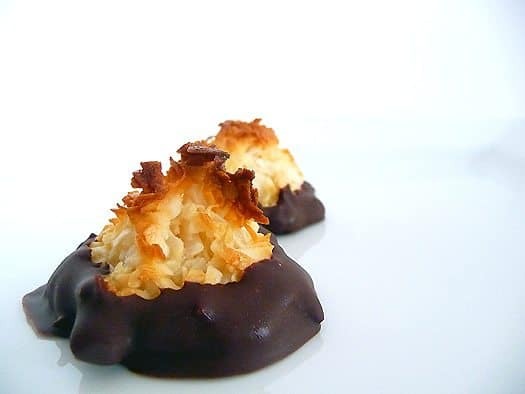 I was immediately a fan of the assortment of flavors one could find with these sweet treats (Paulette in Beverly Hills provided the above dozen), but the fresh coconut in a chocolate dipped macaroon still takes the cake. 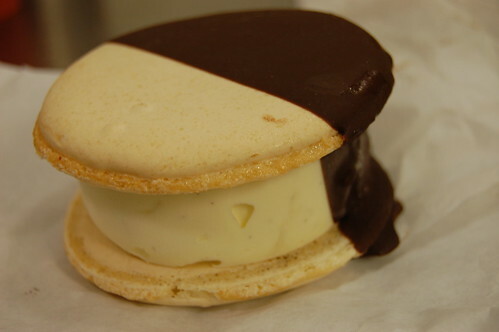 Although the French are determined to win me over with their chocolate dipped macaron ice cream sandwich. Stay tuned for further developments in this battle for one man’s heart. Slap Chop Remix! Let’s Go!! !